Film-Arcade.net: First Still from Gray Ross' Upcoming Film "The Free State of Jones"
First Still from Gray Ross' Upcoming Film "The Free State of Jones"
STX Entertainment recently released still for the Gary Ross' (The Hunger Games, Seabiscuit, Pleasantville) upcoming action/drama "The Free State of Jones". The film stars Oscar-winner Matthew McConaughey (Interstellar, Dallas Buyers Club), Gugu Mbatha-Raw (Beyond the Lights), Keri Russell (Dawn of the Planet of the Apes) and Mahershala Ali (The Hunger Games: Mockingjay Part 1, "House of Cards"). 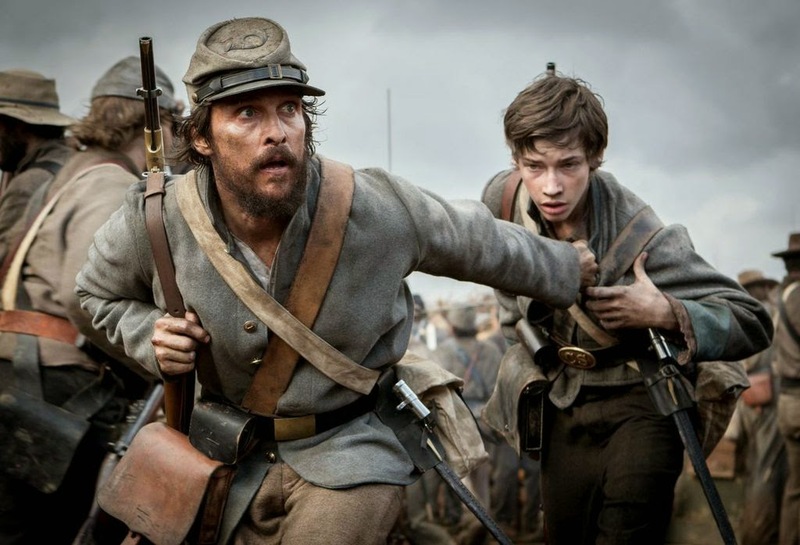 "The Free State of Jones" hits theaters on March 11, 2016. Motion picture and television studio STX Entertainment has begun principal photography on the theatrical feature The Free State of Jones in and around New Orleans, Louisiana, it was announced by Adam Fogelson, Chairman of STX Entertainment's Motion Picture Group. The epic action-drama is written and directed by four-time Oscar nominee Gary Ross (The Hunger Games, Seabiscuit, Pleasantville), and stars Oscar-winner Matthew McConaughey (Interstellar, Dallas Buyers Club), Gugu Mbatha-Raw (Beyond the Lights), Keri Russell (Dawn of the Planet of the Apes) and Mahershala Ali (The Hunger Games: Mockingjay Part 1, "House of Cards"). The film is being produced by Scott Stuber (Ted, Safe House) through his Blue Grass Films shingle, with Jon Kilik (Foxcatcher, The Hunger Games) producing through his Jon Kilik Productions, and Ross producing through his Larger Than Life Productions. STX Entertainment is producing the film and recently announced plans to release the movie nationwide on March 11, 2016. IM Global is co-financing and will be releasing internationally with Route One Entertainment and Union Investment Partners also co-financing. In making the announcement, Adam Fogelson stated, "I am thrilled to be continuing a relationship with Gary Ross that began with Seabiscuit. He's an incredible filmmaker with a unique visual style, and with The Free State of Jones he brings a compelling and impactful untold story that is gritty and thrilling while also being heartfelt and intelligent. We are extremely proud that this is one of the first films STX Entertainment will be bringing to audiences." Set during the Civil War, The Free State of Jones tells the story of defiant Southern farmer Newt Knight, and his extraordinary armed rebellion against the Confederacy. Banding together with other small farmers, and with the assistance of local slaves, Knight launched an uprising that led Jones County, Mississippi to secede from the Confederacy, creating a Free State of Jones. His marriage to a former slave, Rachel, and his subsequent establishment of a mixed race community was unique in the post-war South. Knight continued his struggle into Reconstruction, which distinguished him as a compelling, if controversial, figure of defiance long beyond the War.